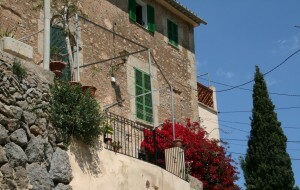 Capdepera borders on the municipal areas of Valldemossa, Palma, Puigpunyent and Banyalbufar. Esporles is pleased with the abundance of sunshine with the average of 8 hours in spring and 6 hours of the sun per day in autumn and winter. In summer months, you can expect to enjoy 10 hours of daily sunshine. The climate of Esporles municipality is slightly more humid than in coastal areas and there is sometimes snow in winter. Still, it is characterized by warm and dry summers and mild winters. August is the hottest month in Esporles with the average maximum temperature of 31°C. The coldest months are January and February when the average maximum temperature is 15°C. The driest months are typically June, July, and August with 9.3% chance of rain in average. The wettest month is November with 39% chance of rain. The surrounding mountains shelter Esporles from the Nordic Tramuntana wind and cold and wet winds that blow during the winter from the coast. The windiest month in Esporles is March with the highest chance of windy days (15%). The least windy months are from June to September with 4% wind chance in average. The sea temperature in coastal areas around Esporles has a range from 16°C in April up to 26°C in August. The average water temperature throughout the year is 19.4°C and the best time for marine activities is late summer. The small and unspoilt municipality of Esporles (or Esporlas) is located on the southern slopes of the Serra de Tramuntana, UNESCO world heritage site. It is well known for its agriculture, extensive oak forests and unique majestic old mansions. The population centre of the municipality, town of Esporles, is a very popular choice for a thriving international community mixed with Mallorcan locals. It is a good location for both permanent residents and those who want a second home that is well-serviced throughout the year. Apart from its glorious setting, the residential area has a convenient access to road links and amenities of Palma city and other areas. Apart from Esporles town, other important residential neighbourhoods of the municipality are S’Esgleieta, Es Verger and Ses Rogetes. Properties available for sale in Esporles range from village houses and villas to exceptional country estates, enjoying serene surroundings. 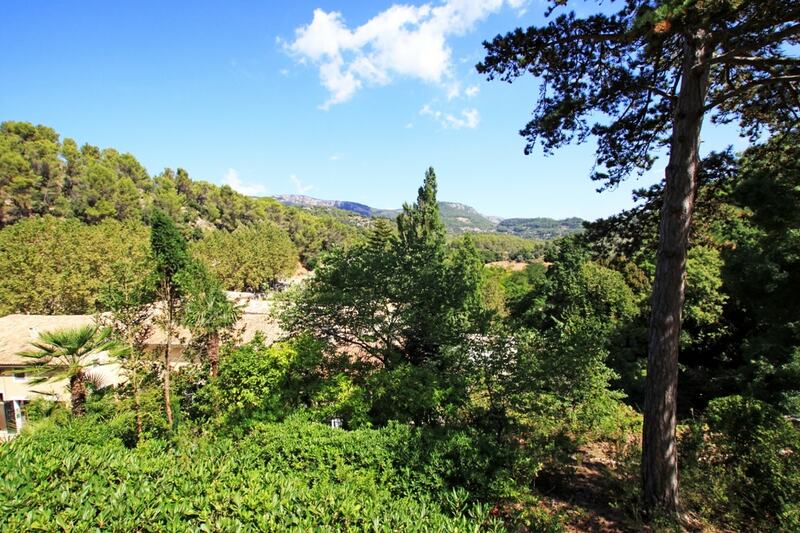 Homes in the area also boast fabulous views over Tramuntana mountains and picturesque villages. For a house in Esporles, you can expect an average of Average price per sqm. in Palma Surroundings €3,615 0% properties#: 329 last change on: 19 Apr 2019 €3,615 per square meter, while for apartments the average value s Average price per sqm. in Palma Surroundings €3,303 0% properties#: 41 last change on: 19 Apr 2019 €3,303 per square meter. There are also opportunities for investment, at around Average price per sqm. in Palma Surroundings €6,560 0% properties#: 28 last change on: 19 Apr 2019 €6,560 per square meter. The most renowned agencies operating on the Esporles real estate market are Porta Mallorquina, Nova and Kensington International. These agencies provide the highest number of listings in the area. The history of the first inhabitants of Esporles dates back to 1229 when it was established by the invading Moors and later developed during the Christian re-conquest. The region’s economy was mainly based on agriculture and cattle farming. Thanks to its water resources, Esporles also was an island’s centre for the textile industry. Although the springs from the underground still provide a steady flow of pure mountain water, now this industry is extinct and most of the inhabitants commute to Palma municipality for work. It is a good location if you are more attracted by mountains than sea views. There are no beaches in the municipality; nevertheless, the nearest small beach is a twenty minutes’ drive, in Port des Canonge. Various beaches of Palma can be reached in about a thirty minutes. Most part of the municipality is forest area, which is a good place to enjoy walks in nature through the dappled shade of the woods. There are nineteen springs with Na Bastera and Font Major being the most important ones. Among the several mansions in the municipality and on the island overall, La Granja d’Esporles is the most well-known. The impressive manor house dates back to the Roman times when it was appreciated for its natural spring waters. Set in such amazing scenery, this stunning property has also been very famous with the aristocracy over the years. Today, La Granja is a very interesting place to visit, as it is very beautiful and a popular site for guided tours. Esporles is also a home to an excellent winery of Es Verger. If you are interested in organic wine, it is certainly worth a visit. In Lafiore glass factory you can observe the mastery of hand glassblowing.